Thank you so much to William Morrow for providing my free copy – all opinions are my own. When the communist-backed army from the north invades her home, sixteen-year-old Haemi Lee, along with her widowed mother and ailing brother, is forced to flee to a refugee camp along the coast. For a few hours each night, she escapes her family’s makeshift home and tragic circumstances with her childhood friend, Kyunghwan. Focused on finishing school, Kyunghwan doesn’t realize his older and wealthier cousin, Jisoo, has his sights set on the beautiful and spirited Haemi—and is determined to marry her before joining the fight. But as Haemi becomes a wife, then a mother, her decision to forsake the boy she always loved for the security of her family sets off a dramatic saga that will have profound effects for generations to come. This is a poignant, insightful debut novel set during the time of the Korean War involving a complicated love triangle. We follow sixteen-year-old Haemi Lee who is staying at a refugee camp as she and her family have been forced out of their village due to the calamity of war. Haemi has been sneaking out to spend time with her childhood friend, Kyunghwan, but a spark ignites and it becomes more than friendship. The only issue is simultaneously she’s being pursued by his more affluent cousin, Jisoo. Jisoo wants her hand in marriage; he offers financial security and the chance for her to stay close with her family. She ignores her feelings for Kyunghwan and reluctantly makes a decision to marry for stability rather than desire. The story spans over sixteen years during a time of great change for the Korean people and Haemi reflects on her decision to marry Jisoo. 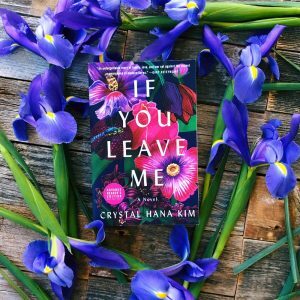 There are so many things that I love about this gorgeous novel: the backdrop of Korea, the strong character development, the multiple perspectives, and how the author lightly touches on mental illness. The story is told from the perspectives of Haemi, Jisoo, Kyunghwan, Haemi’s brother Hyunki, and her daughter Solee – I love how as readers we get the full picture of the story from these five narratives. These characters feel very honest and authentic, and by the end I was in tears. Kim is a master storyteller with lovely prose and the ability to draw you in on every page. 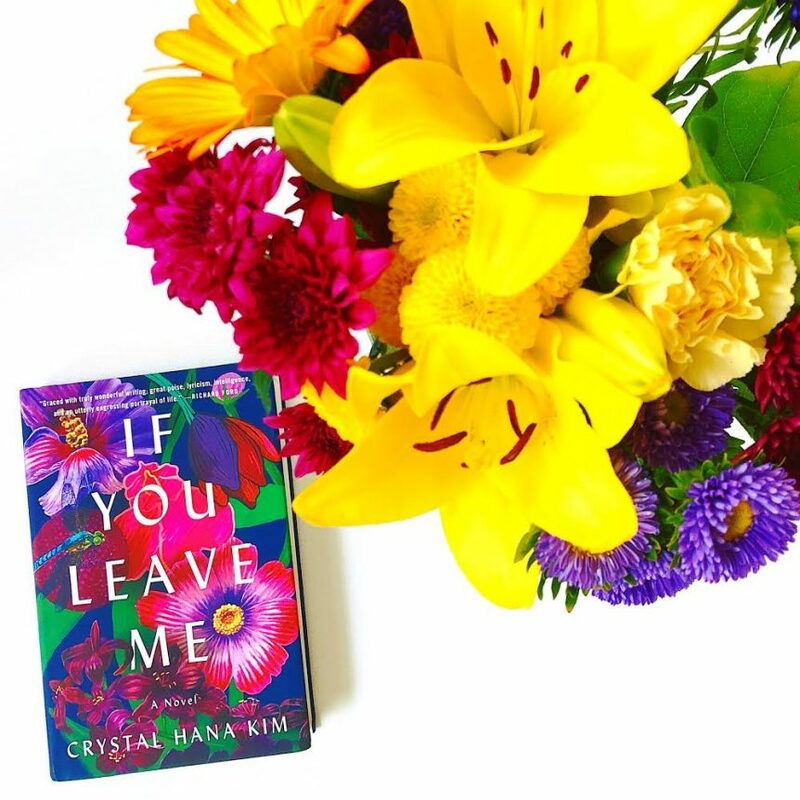 IF YOU LEAVE ME is a story about the decisions we make and how they affect our lives and the people around us. Also, I always love stories where the setting plays a character and this one was painted with vivid imagery as Korea changed over the years. I visualized every moment and felt everything Haemi felt. LOVE. THIS. BOOK.